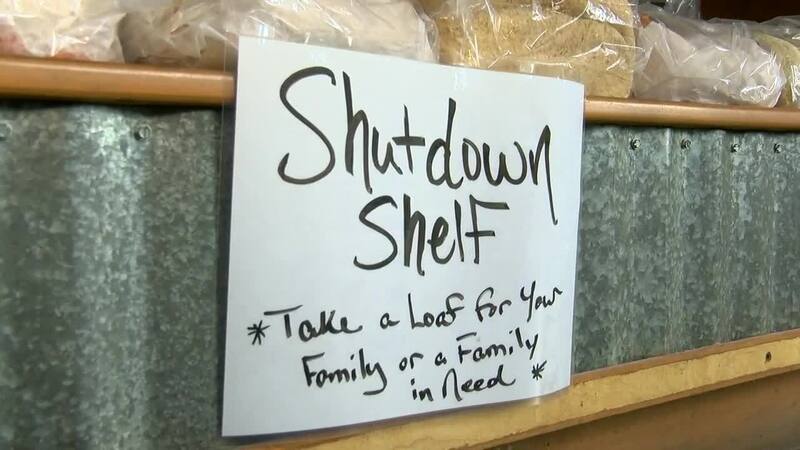 A North Carolina bakery has introduced a "Shutdown Shelf" for people impacted by the federal government shutdown. A bakery in Wilmington, North Carolina, is working to help federal workers and their families affected by the government shutdown. It's where families who aren't currently getting a paycheck because of the shutdown or folks who are just in need can get a loaf of free bread. Hawthorne got the idea from another bakery in Kansas. She hopes other small businesses in the area will also take part and pay it forward. "We are a small business, we have a little bid of bread left over every day and we donate that bread. If someone can get a great loaf of bread that needs it and is having a hard time, maybe another restaurant has a little bit of something else they can give as well," Hawthorne said.